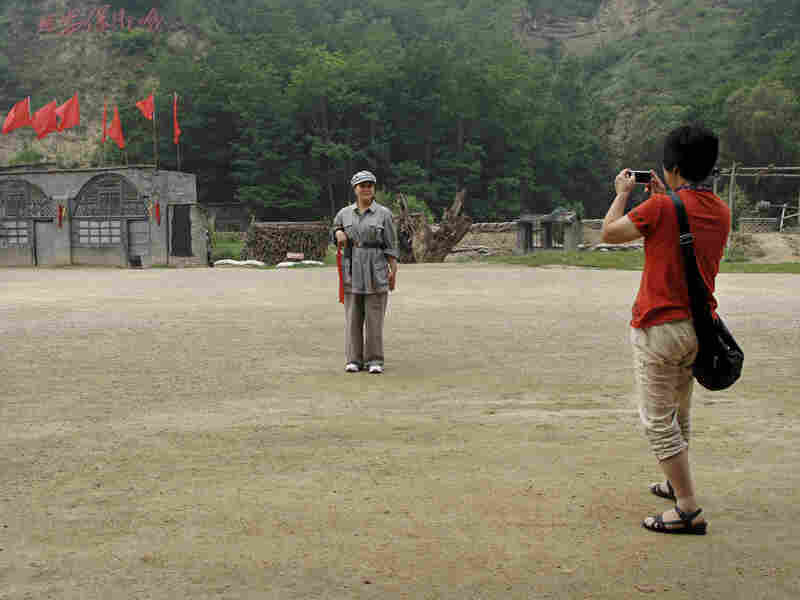 The former revolutionary stronghold of China's Mao Zedong has become a tourist spot exalting the communist cause. This "Red Army" is actually a team of top Chinese salespeople from Amway, the U.S.-based direct sales company. 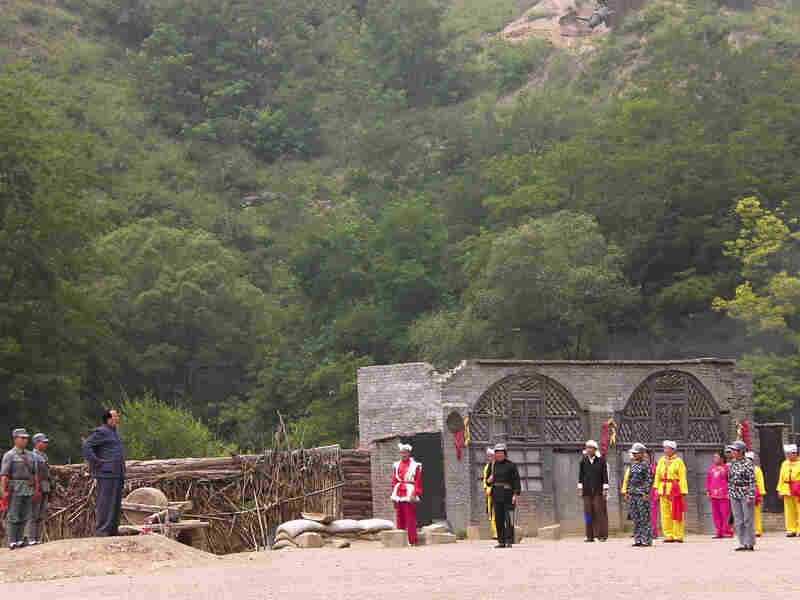 They have earned a three-day trip to Yan'an, the "Revolutionary Holy Land," as a reward for hitting sales targets. 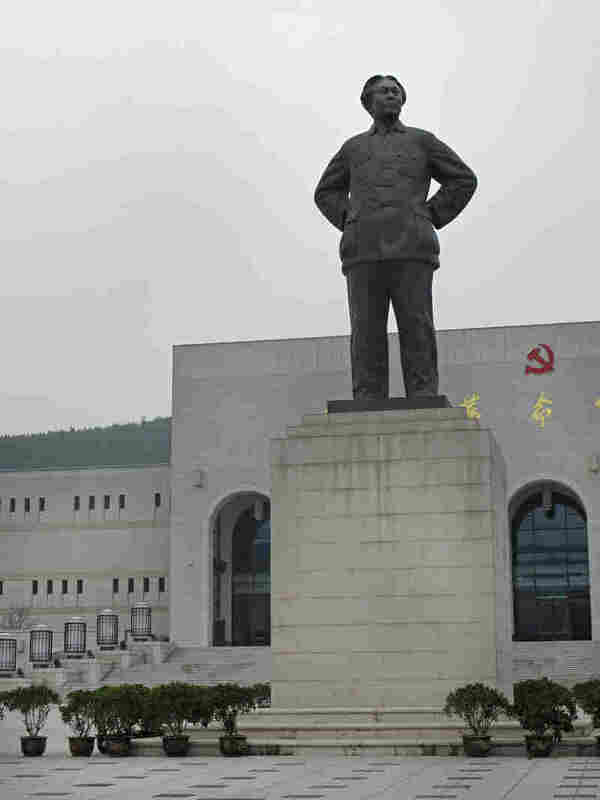 A statue of Mao — who spent 13 years in Yan'an building up support for the communist revolution — stands in front of the Yan'an Revolutionary Memorial Hall, which cost $80 million to build and opened in 2009. 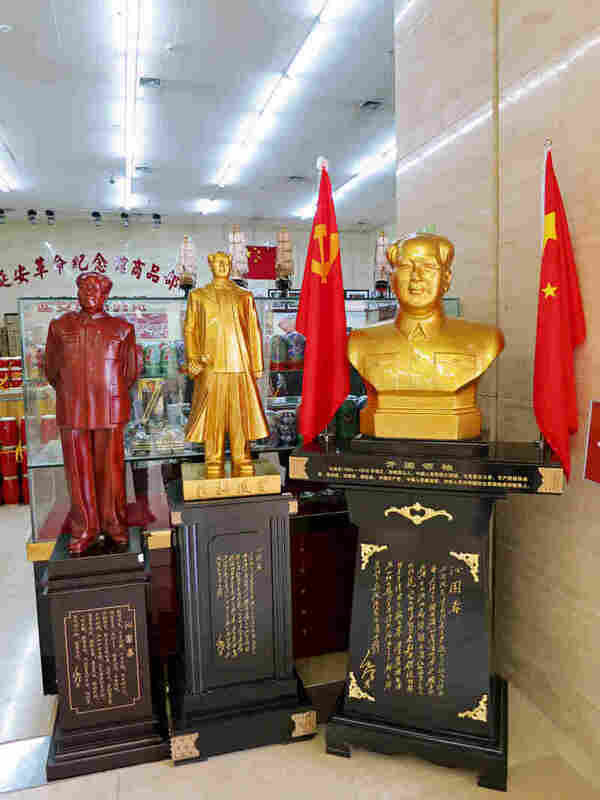 At the Yan'an Revolutionary Museum's huge gift shop, a bevy of Mao statues await the party faithful. Tourist numbers in Yan'an have tripled in five years, exceeding 20 million in 2011. 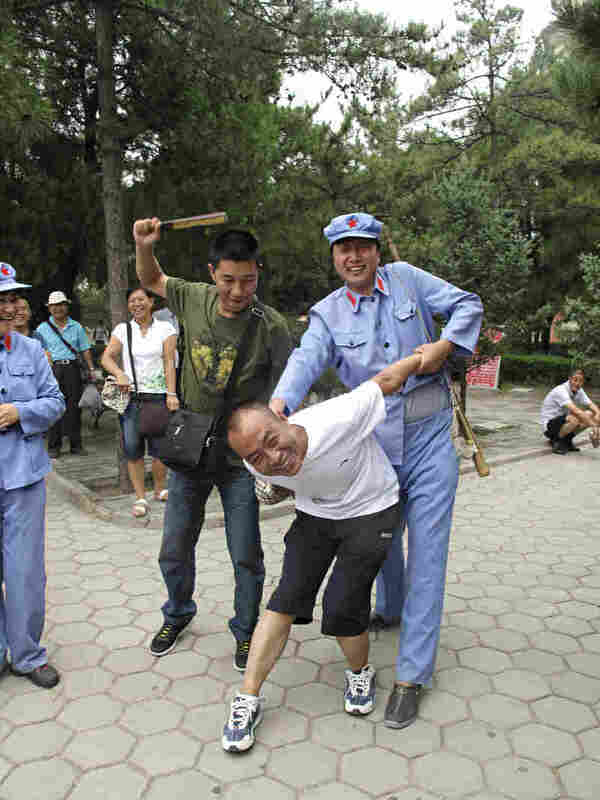 A tourist with a passing resemblance to Chairman Mao put another visitor in a stress position known as the "airplane," which was often used on "class enemies" during the mass upheaval of China's Cultural Revolution, from 1966 to 1976. 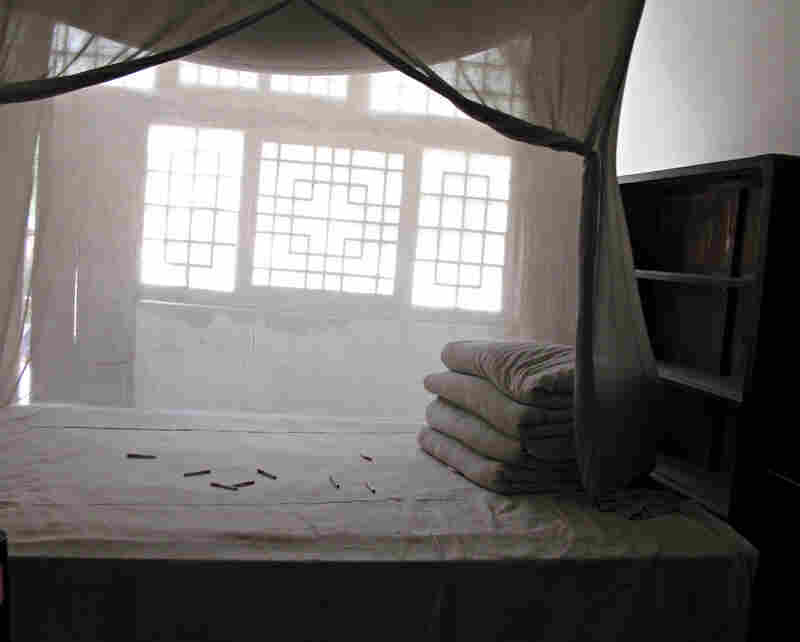 As a tribute to Mao, enthusiastic tourists have thrown cigarettes onto the bed in his former cave dwelling. A new attraction at Yan'an is a blockbuster stage show called "Nursery School of the Red Capital." It tells the story of an orphanage the Communist Party set up in Yan'an, and it cost $5.5 million to produce. A tourist models communist chic. Other tourists wear the mustard-colored uniforms of the Nationalists led by Chiang Kai-shek, the Chinese Communists' opponents in the country's civil war. 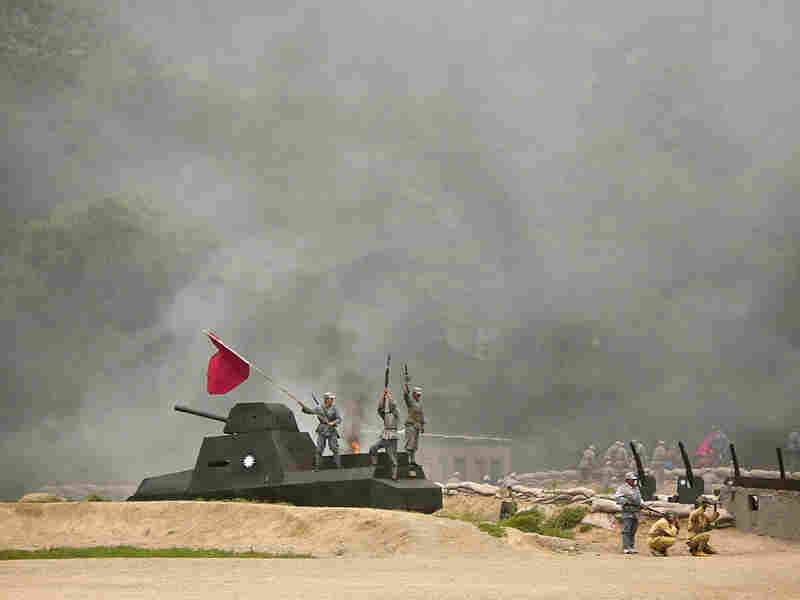 Tourists can dress up and take part in "The Defense of Yan'an," a re-enactment of a 1947 Chinese Civil War battle to protect the revolutionary base from the Nationalists, who fled to Taiwan. 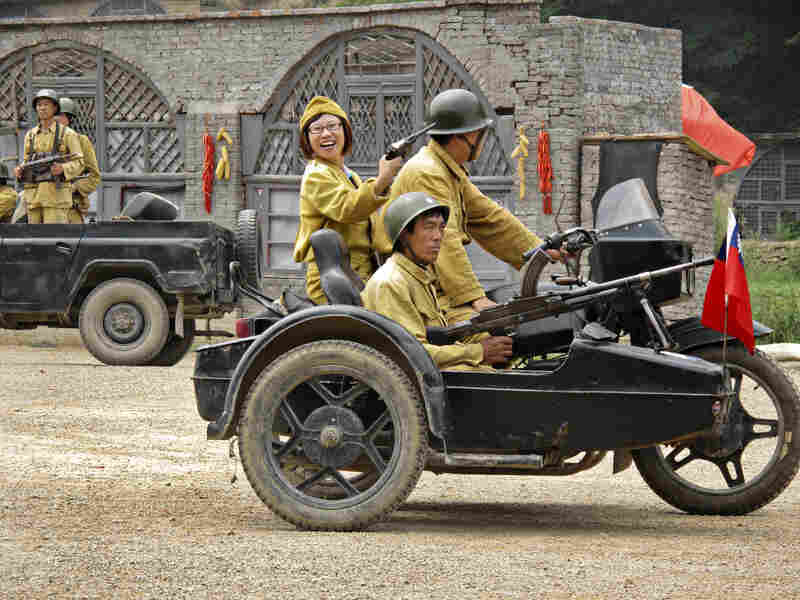 "The Defense of Yan'an" is a whizbang performance that includes lots of fighting, an antique tank and a plane zooming down a zip wire. When a Chairman Mao lookalike appears (on left), the crowd of tourists applauds loudly. 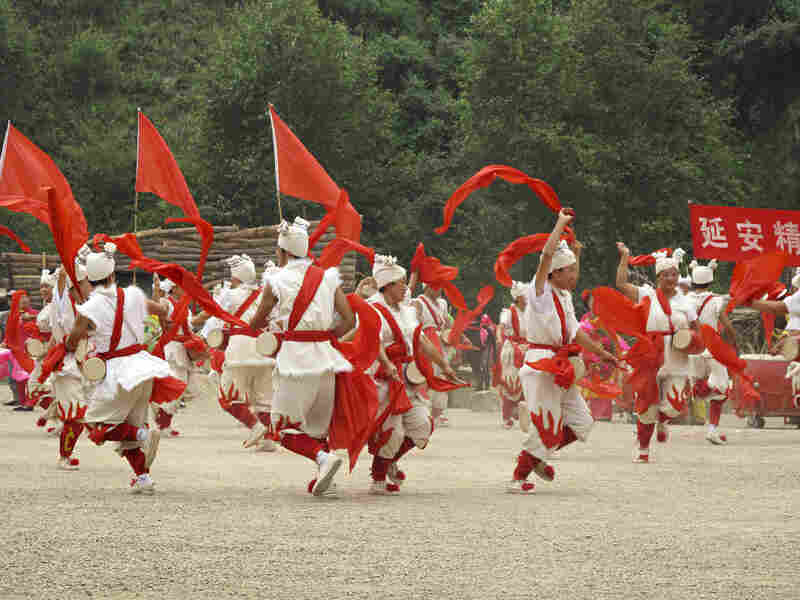 Traditional Shaanxi folk dances also lighten the mood during "The Defense of Yan'an," which ends with a rendition of "Socialism is Good" that the audience joins. China is about to get new leaders for the first time in a decade, and it comes at a sensitive moment for the world's most populous nation. Economic growth, which surged for decades, has slowed. Demands for political reform have increased and the Communist Party has been hit by scandal. In a series of stories this week, NPR is examining the multiple challenges facing China. In our first story, Louisa Lim looks at how the Chinese view the Communist Party in the place where it took shape. History is little more than a commodity in Yan'an, the town in western China that markets itself as the "Holy Land of China's Communist Revolution." The former revolutionary base of Chairman Mao Zedong is a place that encapsulates the strange ideological contortions China's Communist Party has twisted itself into over the past 63 years. 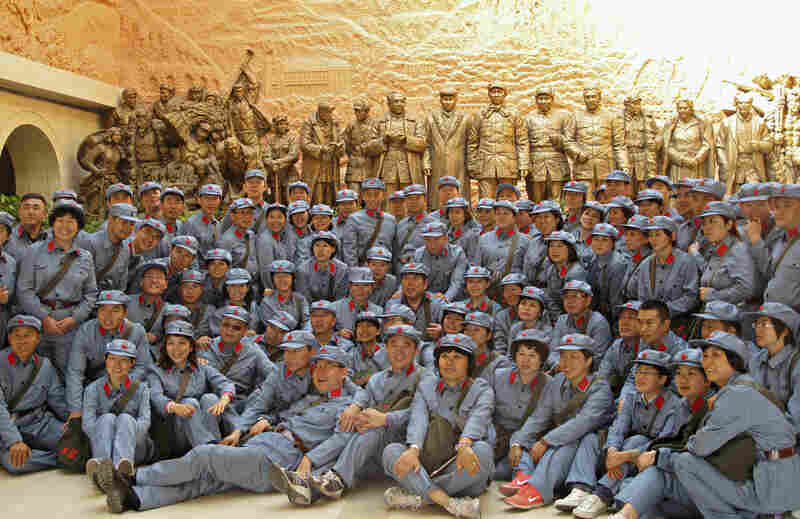 Mao and his comrades hid in the hillside caves of Yan'an in Shaanxi province for 13 years beginning in the 1930s, as they tried to build rural support for a communist revolution. For Chinese businessman Yang Xiaowu, visiting Yan'an is his idea of a corporate team-building exercise. A fervent party supporter who works as an alcohol distributor, Yang has traveled 185 miles to Yan'an from the provincial capital of Xi'an more than 10 times, bringing employees and clients each time. "We came here to learn revolutionary spirit and to understand our history," he says. "It helps us a lot in doing business and marketing." These days, though, all eyes are on the future. Next week, China begins a once-in-a-decade transition of power, as leaders grapple with a damaging political scandal involving murder and corruption that has left the Communist Party reeling. The world is awaiting the formal ascension of Xi Jinping to general secretary, the top Communist Party post; he is also tapped to become the country's next president in March. The spotlight is also on Li Keqiang, slated to be the next prime minister, along with the other members of the all-powerful committee that forms the country's collective leadership. But with calls for reform mounting in the run-up to the 18th Party Congress meeting, has China's political model reached its limits? Not so, say people like Yang, the alcohol distributor. 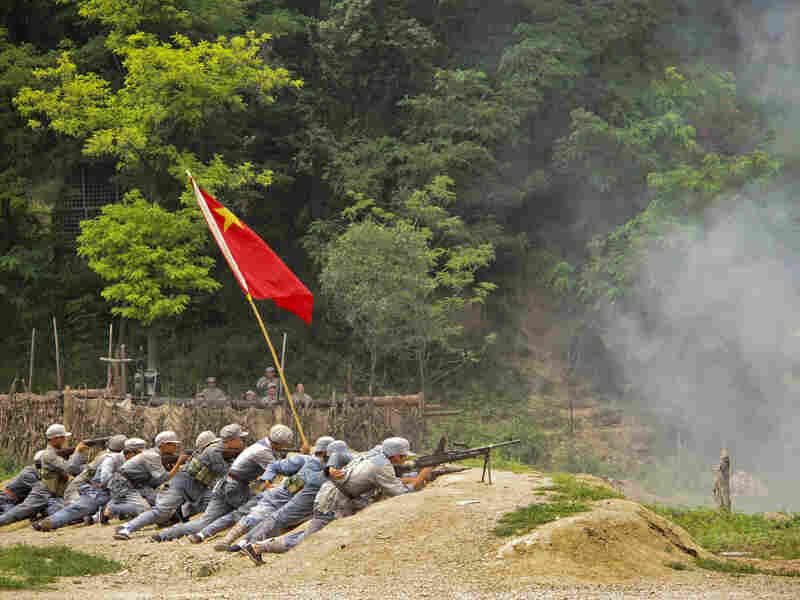 On a recent morning in Yan'an, he and his team are enthusiastically watching the re-creation of a 1947 Chinese Civil War battle between the Communists and their Nationalist enemies. Every morning at 11 sharp, gunshots blaze on all sides, and a burning plane zooms down a zip wire. Our purpose was to achieve freedom and democracy. But now there is neither freedom nor democracy. The road we chose was wrong. Yang has even paid extra for some of his staff members to take part in the battle on the side of the losing, mustard-suited Nationalists. When a Chairman Mao lookalike appears to make a stump speech, the crowd roars happily. For Yang, Mao's works offer useful management advice for dealing with competitors. "Mao's piece 'On Protracted War' is the basic ideological guide we use for our alcohol business," he says. "We learn and carry forward revolutionary Yan'an spirit, and combine it with our culture of drinking, to make our alcohol business big and strong." The local government in Yan'an is cashing in on its revolutionary history as well. 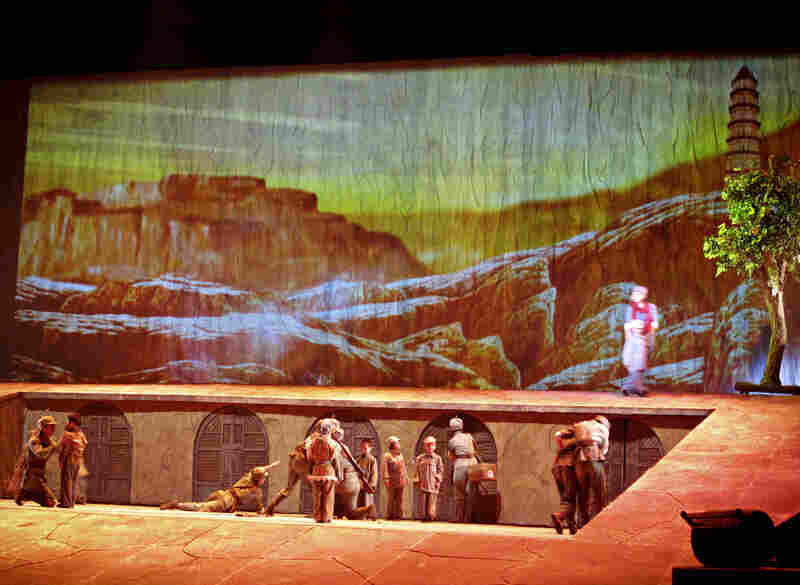 It built a cavernous $80 million Revolutionary Memorial Hall in 2009 and recently launched a new $5.5 million song-and-dance spectacular. Tourist numbers have tripled in five years to 20 million visitors in 2011, bringing $1.75 billion in revenues. Even in Yan'an, where Chairman Mao and the early revolutionaries huddled in their chilly caves, penning essays explicating the party's ideology, few visitors notice the party's U-turns. These are in plain view, however, in the dusty meeting halls where 1940s banners hanging from the ceiling call for the early adoption of democracy. Few know, or remember, that Mao himself advocated multiparty democracy, a position he abandoned after gaining power. 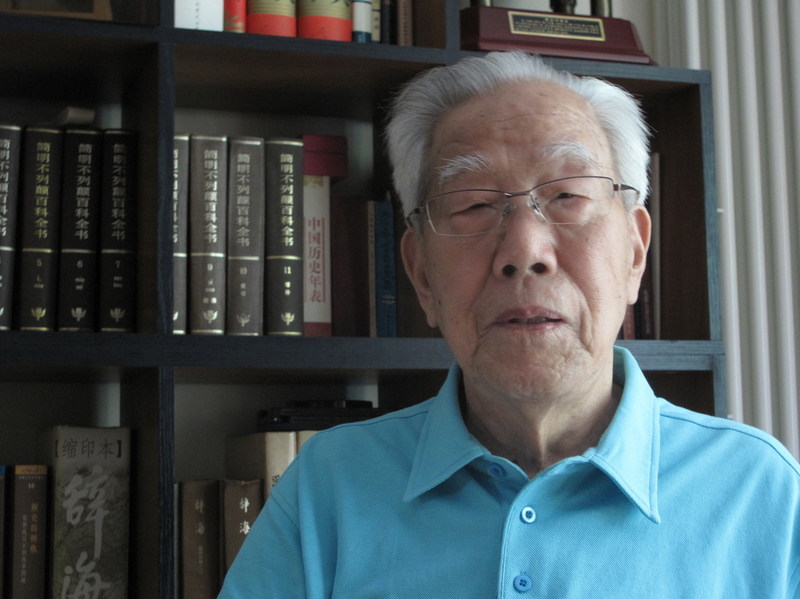 He Fang, 90, is a former revolutionary who wonders where the Communist Party went wrong. "Our purpose was to achieve freedom and democracy," he says. "But now there is neither freedom nor democracy." But there are survivors from those days who have not forgotten why they waged revolution. "Our purpose was to achieve freedom and democracy," remembers 90-year-old revolutionary He Fang. "But now there is neither freedom nor democracy. The road we chose was wrong." At age 15, He ran away to join the Communists, and helped dig out the caves tourists now frequent. In the 1950s, He rose high in the party as secretary to Zhang Wentian, deputy foreign minister. He then fell far — together with his boss, who had criticized aspects of Mao's Great Leap Forward campaign in the late-'50s. He was sent to do hard labor in the countryside for 19 years. He is critical of Chairman Mao, who he says "had a temper like a child" and treated China like a toy that could be tossed around. The straight-talking He is also bluntly critical of today's Communist Party. "The Communist Party wants to realize communism, but no one today knows what communism is," he says. Guo Haiyun, 46, and his wife in their cave home, not far from the revolutionary stronghold of Yan'an. He says he probably only has two or three yuan in cash at home, while he has taken out bank debts he can't return to pay for his daughter's university education. Such sentiments would seem like heresy in Yan'an, where groups of young party members wait in line to swear oaths of allegiance to the party, fists clenched by their heads, on a pagoda-topped hill overlooking the town. But even inside the temples of communism — the party schools training the elite — people are worrying about a crisis of faith. Wang Binglin, a professor at one of these schools in Beijing, addresses the issue head-on during a recent lecture. "Each religion has followers. You cannot achieve anything without followers. Do we have followers? We have 80 million party members," Wang tells a group of social science academics, as he parses the differences between religious believers and party members. "We are short of nothing. But why are we not that devout?" he says. "The main reason lies in ... the extent to which we worship and believe in our [communist] classics. Some people don't believe them. Some don't even read them." For many party members, faith in China's Communist Party died in Tiananmen Square, when the army opened fire on unarmed protesters in 1989. From then on, political reform was off-limits. The unspoken contract was that the party would bring economic change to the people, and indeed, it has lifted hundreds of millions out of poverty. But the gap between rich and poor has widened into a chasm, and even China's Academy of Social Sciences warns of a potential public crisis if no reforms are made. The Chinese Communist Party was supposed to be the party of workers and peasants, but 63 years of communist rule has not changed life substantially for peasants near Yan'an. They still lead subsistence existences in damp caves carved out of the hillside, the walls plastered with old advertisements for warmth. 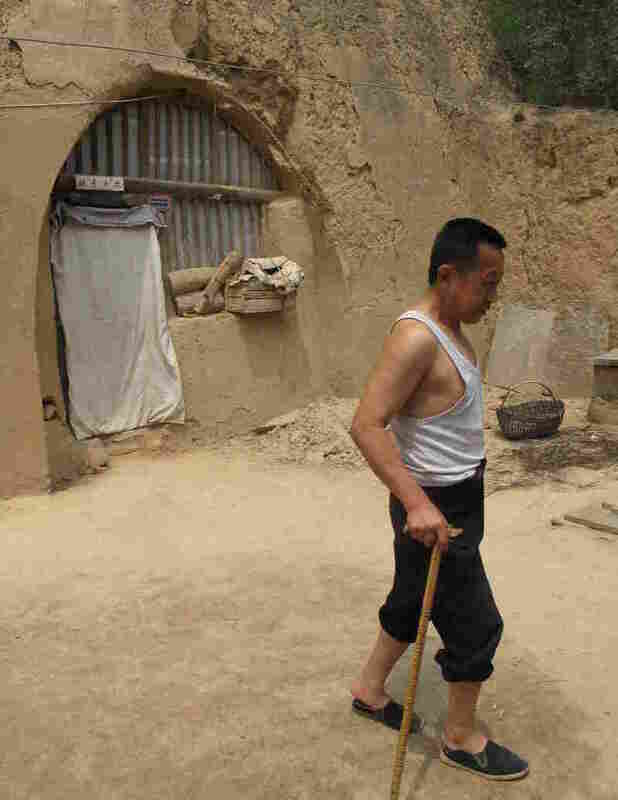 "City folk definitely live and eat and do everything better than us," says Guo Haiyun, limping across the yard of his cave home, close to Yan'an. "Of course I envy them." For him, the privileges enjoyed by city dwellers — like subsidized medical care and social welfare — are a pipe dream. A frail 46-year-old, Guo was a migrant worker, building China's economic miracle, until he was injured. Now he survives on an allowance given to the disabled. "The Communist Party is good," he enthuses. "Life is much better than it was 20 years ago." But simple questions elicit a more troubling reality: The family has been heavily driven into debt to fund his daughter's university education. His son has even sacrificed his own education for a banal reality of washing cars to pay for his sister's future. "I can't return it," Guo says of his $3,000 debt. "How can we save? I have no money. Probably I only have two or three yuan at home." China's urban dwellers earn on average 3.22 times more than its rural dwellers, and that gap is expected to widen further. Such rural poverty is harder to bear, knowing China's elite are enriching themselves, using an unholy alliance of patronage and power. An object lesson in the use of power has come with the downfall of powerful politician Bo Xilai. Until March, Bo was Communist Party secretary of the city of Chongqing. If the father becomes an emperor, the son must become an emperor, too. ... It's false socialism. It's about keeping their power. The guiding principle is: I must have power, I must be an official, I must be corrupt and lawless. This is the Chinese model. Now, he faces criminal investigations into abuse of power, corruption, improper relationships with women and involvement in murder. His wife, Gu Kailai, also known as Bogu Kailai, is serving a suspended death sentence, after being found guilty of the 2011 murder of British businessman Neil Heywood. Bloomberg has reported that her sisters control a business empire worth $126 million. Bo is the son of a revolutionary hero, a creature of the party. According to one former insider, he symbolizes all that's wrong with the party. "If the father becomes an emperor, the son must become an emperor, too," says former official Bao Tong. "That's socialism with Chinese characteristics. It's false socialism. It's about keeping their power. The guiding principle is: I must have power, I must be an official, I must be corrupt and lawless. This is the Chinese model." Bao was once secretary to Zhao Ziyang, the reformist party boss who sympathized with the protesters in 1989. Now 79 years old, Bao despairs over the fiefdoms of power that have been carved out under the current system. "It may be worse than the feudal era. Then, when the emperor found a landlord bullying people, he could put him on trial," Bao says. "Now there's not just one landlord in each village, there's at least 10, including the village head, the party secretary, their deputies and their predecessors." Amid a rising tide of scandals involving corrupt party members, public anger is widespread. Even at one communist pilgrimage spot, Chairman Mao's cave in Yan'an, a visitor who gives his name as Mr. Su says he believes all officials are corrupt. "Now there are 80 million Communist Party members. I think half of them should be killed," Su says. "If every official serving at county level or above was shot by a firing squad, I don't think any innocent blood would be shed." Mao's Communists prided themselves on their discipline, as they stood against the corruption of the Nationalists. Now, China's new leaders have to act fast. The dividends of double-digit growth are over, but they've enriched a princeling class — the descendants of old revolutionary heroes of which Bo and the incoming president, Xi, is a member — whose vast wealth and influence have turned them into the new emperors, representing what the party once opposed.